Guests can feel free to sit back outside the tent in the lounge chairs around the fire pit. The hosts provide popcorn and all the fixings for s'mores to allow guests to sit around the open fire and try to count the stars. The barbecue grill comes with all the necessary utensils and will tempt guests to make their favorite dish or to venture out and try some new ones. The electric fireplace, mini fridge, Keurig coffee maker, and microwave certainly make it possible to have a lazy afternoon. Juice, muffins, and fruit are also provided for breakfast as well. 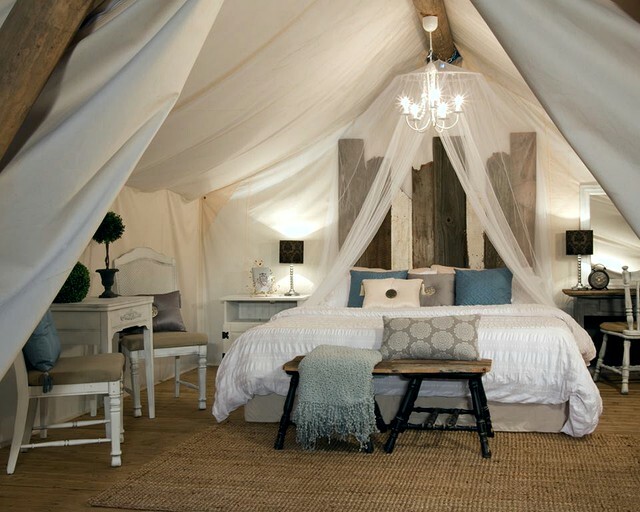 There is a deluxe shared bathroom and outhouse and is within easy access to the tented cabins. Guests have access to bikes in order to cycle around the park and explore all the sights, sounds, and smells that nature has. 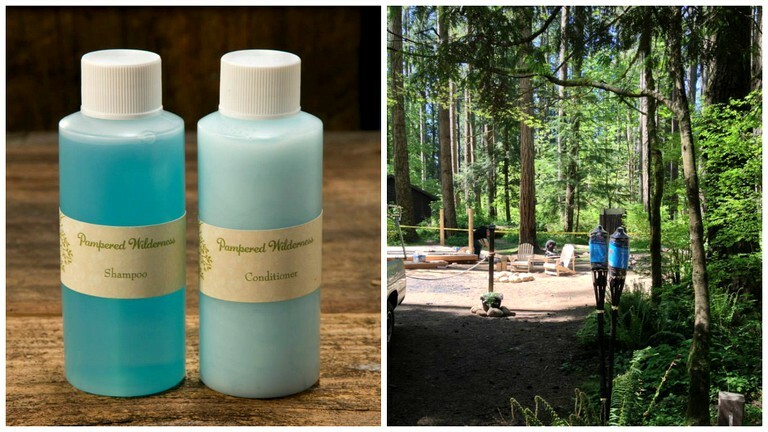 This luxurious glamping property is located within the campgrounds of Millersylvania State Park, Olympia, Washington. The site is within close proximity to many lakes, surrounded by trees, and where nature is quietly waiting to be explored. These stunning accommodations are located inside the Millersylvania State Park, where guests can indulge in any number of outdoor activities. Stare in wonder at the many towering Douglas Firs that grow all around the Park. Once glampers make their way out of your safari paradise, they are free to stroll through the many scenic places located in the surrounding area. The site itself is located in the Millersylvnia State Park, a 42 acre Park just begging visitors to explore. Morning, afternoon, or night, glampers can take scenic hikes and explore until their hearts desire. After an afternoon of hiking, glampers are without a doubt going to be hungry. Head into the small town of Tenino for a bite to eat at any number of mouth-watering restaurants. Tenino has a bunch of vintage shops where guests never know what they might find. The town is also home to the Scattercreek Winery, a family owned and operated winery that boasts some of the regions richest wines. 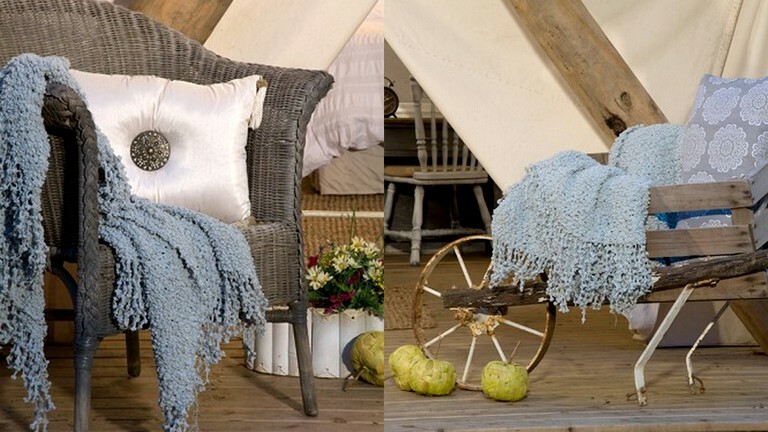 Whether glampers want to be safely tucked away in bed with a warm fire, or out and about in the shops of Tenino, there's truly something for everyone. There is a $5 park entry fee per person unless guests have a WSP Discovery Pass. Additional guests are $25 and there is a maximum of four people per room. The location is pet-friendly, but there is a $100 deposit.